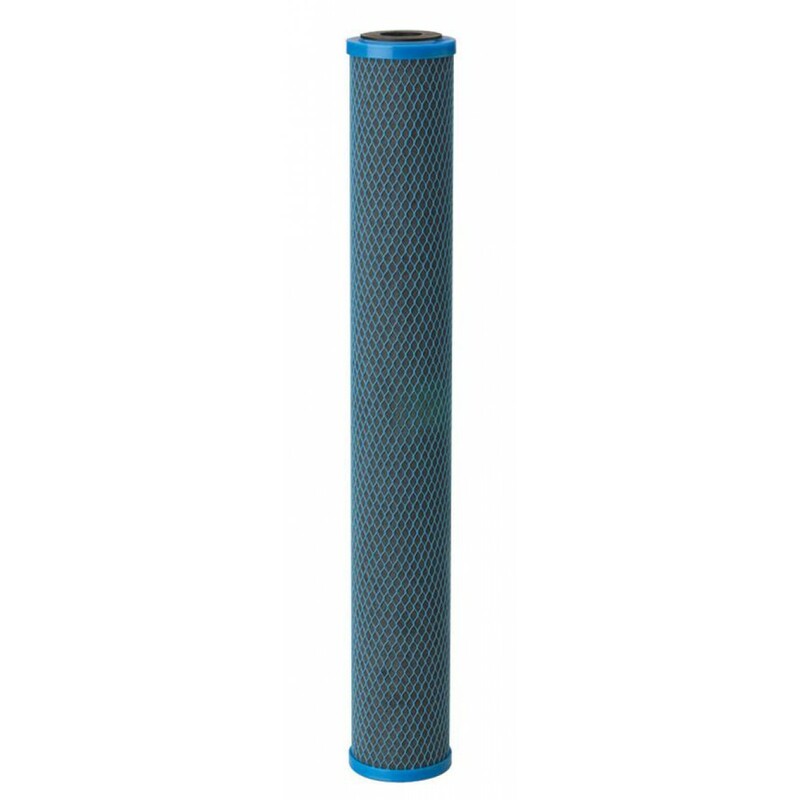 The Pentek Fibredyne CFB-Plus 20-Inch Standard Carbon Block Water Filter utilizes patented Fibredyne technology to mold the carbon block, attaching powdered activated carbon onto a cellulose-free fiber matrix. This revolutionary technology combines the benefits of both a sediment filter and a carbon filter into one outstanding filtration product, offering up to twice the dirt-holding capacity and unpleasant taste & odor reduction. The Pentek Replacement Filter Cartridge fits most standard housings that accept 20-inch x 2.5-inch water filter cartridges. The filter uses Activated Carbon Block to remove contaminants for up to 6 months. An enhanced version of the CFB cartridge. Highest sediment reduction found in a carbon cartridge. Even greater chlorine taste and odor reduction. Will not release tiny black specks of carbon fines into your filtered water due to a specially formulated post-filtration layer.